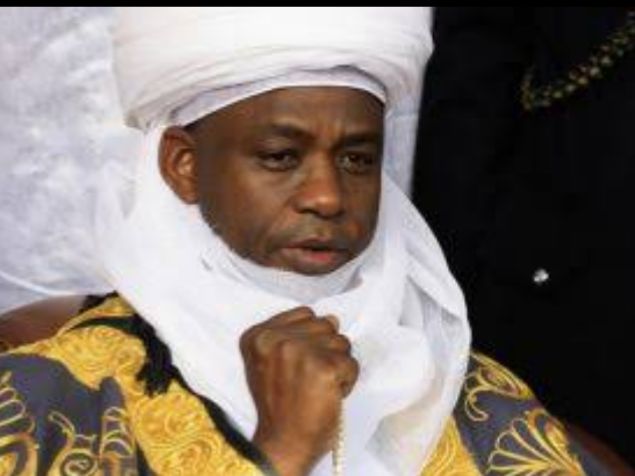 Sultan of Sokoto, Sa’ad Abubakar III, yesterday lampooned the Federal Government over its attitude to the constant clashes between Fulani herdsmen and farmers. The Sultan, who spoke at the Northern Traditional Rulers General Assembly 2017 in Kaduna, also called on the President Muhammadu Buhari-led administration to wake up to its responsibilities. .. According to him, the prevailing security situation in the country is as a result of failure of government to live up to its responsibilities. Abubakar, who is also the chairman of the North- ern Traditional Rulers, said that any Nigerian who took up arms to kill another person, was a criminal and must be treated as such, no matter his tribe or religion. Those present at the event included all the state chairmen of Council of Traditional Rulers from the 19 Northern states and Abuja with representatives from the South-East, South- South and South-West. Speaking at the opening session before going into the closed-door meeting, the Sultan said: “Our comments are meant to alert our political leaders to their responsibilities of what they should do. When we don’t do that, Almighty God will ask us on the day of judgement, that is why we keep on talking about this, and we will never call on anybody to take up arms. “As a Fulani leader, I am the leader of Fulani in this country, and in the West African sub-region, I live with so many people and I know their problems, and I will never call on any Fulani to pick up arms to kill anybody. “I have said it so many times at so many fora; those people picking up arms and killing people are criminals and whoever you are, whether you are Igbo, Hausa, Yoruba or Fulani, you have no right to take up arms and kill anybody. “If you see such things happening, then they must be a failure of government. But if governments wake up to their responsibilities, some of these things will not happen. “We keep on calling on everyone to please maintain peace and allow the constituted authority to take up these issues and we will continue to put pressure on them, until they find solution to this dastardly act.” Abubakar also spoke on issues affecting women and youth, the drug abuse menace, which, according to him are getting out of hand. He added: “We will discuss this during the meeting to see how we can assist our various authorities on how to bring this to the minimum level. “The abuse of drugs by women and youth is a very serious issue; we will discuss that and other insecurity issues affecting this country.” On the fallout of the Boko Haram crisis, the Sultan said: “We will also discuss issues concerning Internally Displaced Persons (IDPs), because I was told about a survey made recently and there are about 50,000 orphans in each of the camps; children who don’t know who their parents are. If we allow those children to grow up in the IDP camps without knowing who their parents are, then we have a big problem in our hands. In his submission, Chairman of the Enugu State Council of Chiefs, HRH Igwe Lawrence Agubuzu, said they saw that the Northern Traditional Rulers were conducting their affairs in the open. He said: “I believe this is in line with the person of who the Sultan of Sokoto is. I believe strongly that if government listens to the advice of the Sultan, many things would go right, because he has the love of the country at heart and frank on issues that concern the country. “We want the traditional rulers to support the call for an additional state for the South-East to show that the South-Easterners are equally treated fairly like other regions in the country. “We are looking forward to when those around the President would behave like him; that is selfless, incorruptible and upright.” The traditional rulers latter went into a closeddoor session. A communiqué is expected at the end of the general meeting.